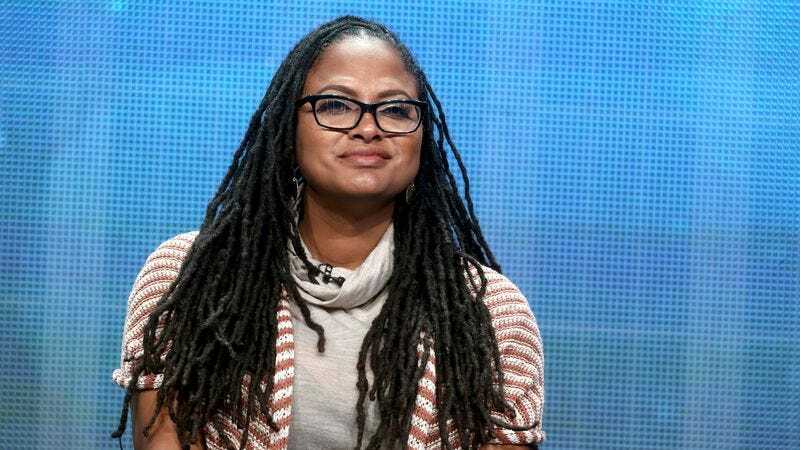 Ava DuVernay, the Selma director whose talents have been sought in recent months by both J. J. Abrams and Marvel, is now headed to HBO Films to direct The Battle Of Versailles, according to Deadline. Based on the book The Battle of Versailles: The Night American Fashion Stumbled Into The Spotlight And Made History by fashion journalist Robin Givhan, the story focuses on the 1973 Palace of Versailles fashion show that first announced American designers and black models to the rest of the world. Apparently, the show pitted five of the top French designers at the time (Yves Saint Laurent, Hubert de Givenchy, Pierre Cardin, Emanuel Ungaro, and Marc Bohan of Christian Dior) against five then-unknown American designers: Oscar de la Renta, Bill Blass, Anne Klein, Halston, and Stephen Burrows. While the French designers kicked off the event with much pomp and circumstance, the Americans ultimately emerged victorious with an energetic presentation backed by a simple line drawing of the Eiffel Towel and supported by the unfiltered talents of their models, many of whom—in a historic move—were black. Basically, it’s the climax of Sister Act 2, only without the vocals and with way better apparel. In addition to directing the film, DuVernay will co-write it with Michael Starrbury (The Inevitable Defeat of Mister and Pete). If that wasn’t enough to fill her plate, DuVernay is also preparing to direct Disney’s A Wrinkle In Time adaptation, is trying to salvage Flint, Michigan, and is currently a Barbie.